On this page, we offer Free Booklets on a variety of Bible subjects, covering Divine Healing, The Gospel of the Kingdom of God, The Festivals of Leviticus 23, and many others! The Day of Pentecost is mostly known for the outpouring of the Holy Spirit in Acts chapter 2. Due to this, many consider it a ‘fulfilled’ day. Did you know that this day has a rich meaning in the past, present, AND future! In this booklet, you will learn the basics and more in-depth items concerning Pentecost. It will give you a powerful understanding of this special day! Bible Prophecy is an intriguing subject on the minds of people today. It pertains to events in the future, but it affects how you live right now. In this booklet, you will learn the foundations of Bible prophecy. Did you know there are certain ways of reckoning time in Bible prophecy? There are also important symbols. Certain chapters form the foundation for how we understand Bible prophecy. This guide will be a tremendous tool to grow your understanding of Bible prophecy. In Prophecy, God often deals with entire nations. However, nations can easily migrate! Due to this, we must study history, the Bible, and current events to place where nations are today. This will help us make better sense of our present world and prophecy in the last days. The purpose of this booklet is not to set dates about events in the Bible, but to give a general overview of the flow of end-time events. We are start with our current time period and go all the way until the beginning of the 1,000 year reign of Jesus Christ. Once we understand the general flow of end-time events, we can make better sense of Bible Prophecy. Daniel chapter 11 is considered the most detailed prophecy in the entire Bible. God gave Daniel prophecies so detailed that they prove the Bible’s validity and existence. In it, we learn of events from Daniel’s time up until the return of Jesus Christ. We also learn from it the historical events surrounding the Hanukkah story; these details help us to understand end-time events unfurling before our very eyes! The letter to the Galatians is indeed one of the most powerful books of the Bible. In it, we find Paul’s appeal to a mostly Gentile people to trusst in the leading of GOd’s Spirit isntead of leaning on human understanding. In this book, you will gain valuable insight into the book of Galatians. You will learn about living a Spirit-led life and the importance of revelation in your daily life. You will see the letter to the Galatians like never before! There are many misconceptions about the Law of God. Did you realize that one of the New Covenant promises for Christians is to have God’s Law written on your heart? This booklet will dispel many of the myths about God’s Law and help you understand its place in the life of a Christian Believer today. The Feasts of the Lord are described in Leviticus 23. They are celebrations based upon the Lord’s work in the past that also foretell His future work in the world. These celebra-tions will add an amazing level of depth and understanding in our walk with God. The early believers celebrated them and the Lord eagerly anticipates us to celebrate them with us as well. Healing is a powerful promise from God. In this booklet, you will learn why healing is still relevant. You will learn how to pray for people to be healed. You will read real life healing testimonies and how you can receive full and total healing from God right now! It his the will of God for you to be completely whole and healed! The Woman Question: Should Women Serve in Church? For centuries there has been great debate as to the role of women in the church. Some say that women should not be allowed to serve in any capacity, whereas others say that they should be allowed to serve in any role that a man can serve in. Other churches allow women to do some things, but not other types of service. This question is of great im-portance because it has to do with the place of women in the Body of Christ. How God views this a reflection of His character. In this work, we will examine the role of women in the Bible. This booklet is a continuation of our series on understanding the Bible. It is highly advised that you read the first booklet in this series “Understanding the Bible—Beginners Edition” first. In this second booklet, we will look at various ways to study the Bible from an in-depth perspective. The tips you will learn will make your Bible study more excited and fruitful. Worship is a condition of the heart that results in action, specifically a changed life. There is a certain approach to worship that we must take if we want to receive the full benefits of honoring God in this special way. In this booklet, you will learn the basics of worship. The moment you were saved, you entered into a battle being fought all around you. While this battle is invisible, it rages on continually. In this booklet, you will learn who the enemy is and practical ways to fight against him. In Christ, you are more than an conqueror! Learn how to walk in victory! The Sabbath is a weekly celebration from Friday sunset to Saturday sunset. This delight was given to mankind to help us spend more time with God and our family. In this booklet, you will learn basic questions such as “How Can We Know When the Sabbath is?” and “Why Does it Matter?” You will also learn important ways to practice this special day with God and your family so that you can get in tune with God’s Sacred Rhythm. Passover is the second holiest feast day of the year. This one feast day is part of an eight-day festival in the spring. It is the time where we commemorate the Son of God, Jesus Christ, coming down to earth to lay down his life as a Lamb. He willingly gave His life for all mankind to receive salvation. As we approach this time of the year, it is vitally important that we take the proper steps to prepare to take in the precious Lamb. This season and the time leading up to it are a unique time of the year. There are some things we need to be aware of in the months just before Passover that will be vital in helping us honor the Lamb of God with honor and passion. The United States has been the most influential country of the 20th and 21st Century. We have helped end two world wars, opposed communism, provided a safe world for eco-nomic success, and help spread the gospel more than any other country. God mentions small countries like Libya in prophecy. He also mentions larger ones like Russia. God has not overlooked the mightiest single nation that has ever existed on this planet. In this booklet, you will find the an-swer to the compelling question: Who is the United States in prophecy? The term ‘gospel’ is used in churches every week, but very few people understand what this term means! The word gospel simply means “good news”. Jesus came preaching a specific gospel: the gospel of the Kingdom of God. Our be-havior and lifestyle is supposed to be governed by God’s Kingdom. In this booklet, you will learn how to enter into and experience this Kingdom today! You will also get an amazing glimpse into the soon coming rule and reign of this Kingdom on planet earth. The term “Hebrew Roots” is becoming a more common phrase. There are ministries that use this term to identify their beliefs. In fact, an entire movement is called the “Hebrew Roots Movement”. But what does this phrase mean? Hebrew Roots refers to getting back to the way of life lived and taught by the early disciples. It involves changing how we think, how we live, and how we worship God. It is the Way of life taught and lived by Jesus Himself! Learn more about your Hebrew Roots! In this booklet, you will learn about the importance of tithing and giving. Did you know that Abraham tithed? Did you know that there is a specific offering believers are supposed to give at certain times of the year? 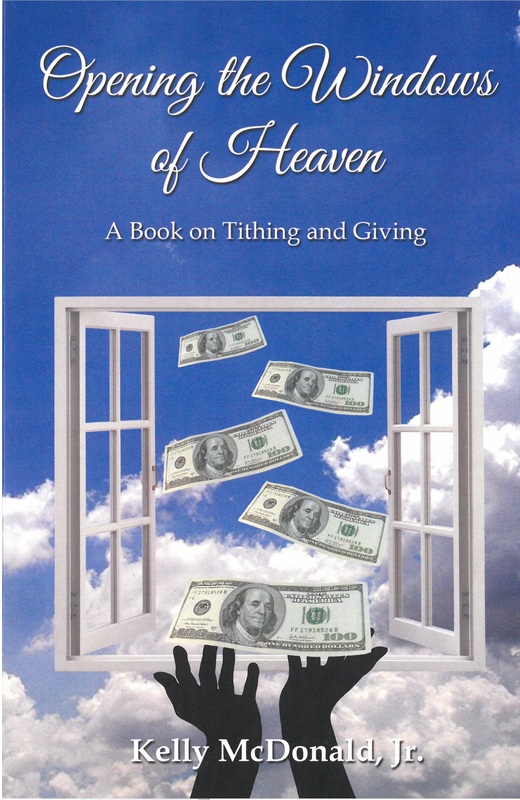 When we release what is in our hand, God will release what is in His!This booklet is a shorter version of the full-length book “Opening the Windows of Heaven: A Book on Tithing and Giving”. The full-length version of this booklet has much more in-depth material and revelation. It will teach you guys to making money and how to handle God’s blessing. The book is available on the Store page. This booklet will help you learn more about being filled with the Spirit. The Baptism of the Holy Spirit is a wonderful gift for you. When you read this booklet, you will have a better understanding of why God gave this gift to humanity. 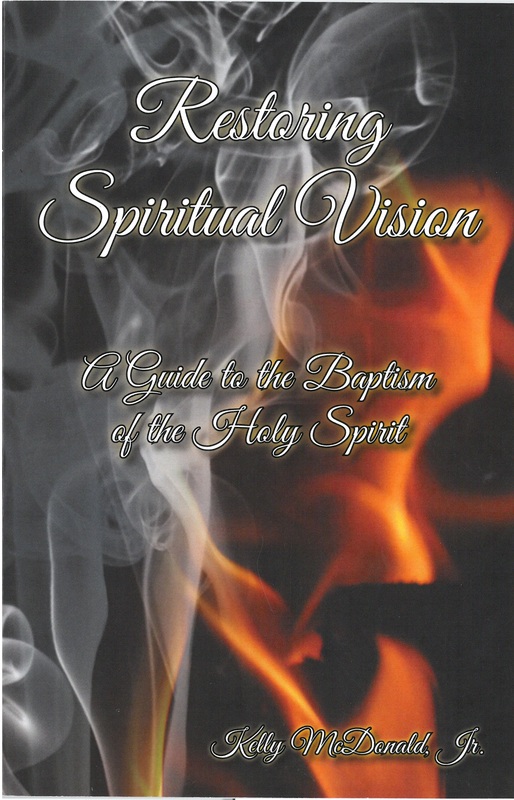 The Spirit-filled life will cause the power of God to overflow in your life like you have never experienced before!This booklet is a shorter version of the full-length book “Restoring Spiritual Vision: A Guide to the Baptism of the Holy Spirit”. The full length book has much more in-depth material and revelation. The book is available on the Store page of this website. Does God Care What You Eat? In Leviticus 11, God gave us instruction about the animals that were made for humans to eat and others that were not made for humans to eat. In this booklet, you will learn about the dietary laws of Leviticus 11. You will learn how they are relevant today and why God gave them.This booklet is a shorter version of the full-length book “Clean and Unclean: A Guide to Living the Holy Life”. The full length book has much more in-depth material and revelation. The book is available on Store page. Great Work in the Lord of the Sabbath. I will certainly have you come to my church in Jamaica whenever construction is completed….if the Lord wills.